Len Polito, the owner and president of MSM Inc. started the company on May 17, 1982. He and his wife built the foundation of what has become a very successful family owned business. Len has over 40 years of experience in the industry and is devoted to supplying over 500 Bay Area based businesses with the highest quality janitorial, first aid and lighting solutions in the industry. He conducts training seminars and demonstrations on all of the products he sells in order to ensure that his customers are getting the most from their products. Most recently he has developed a new "Green Solutions" line that helps individual businesses transition from toxic chemicals and energy consuming lights to environmentally sound products without compromising quality. Superior customer service and a vast knowledge of the industry have served him well in establishing long lasting relationships with all of his clients. He is devoted to providing his customers with competitive pricing, excellent customer service and a wide variety of products in order to suit all of their maintenance needs. 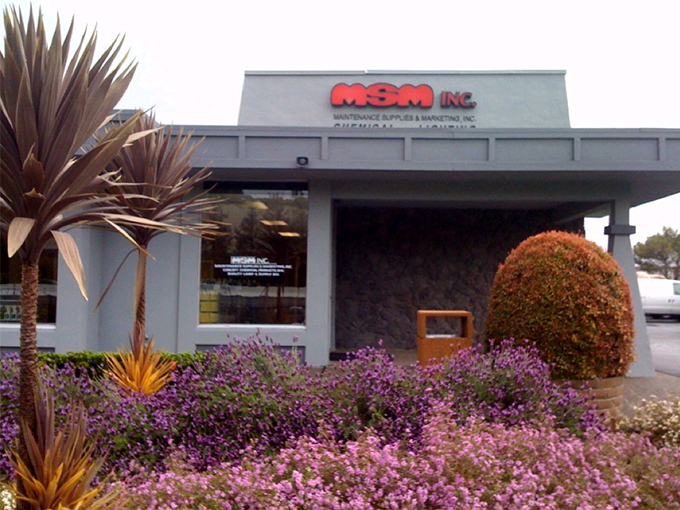 MSM Inc. prides itself on maximizing satisfaction, simplifying procedures and offering customers solutions. Whether it's lowering your labor intensive maintenance costs, or helping your business "Go Green" you can rest assured that MSM Inc. will take every measure necessary to gain and guarantee your approval, satisfaction and trust. MSM also encourages environmental responsibility and strives to find innovative and environmentally friendly products to present at affordable prices without compromising quality or overall effectiveness. We help our customers to become eco-aware by providing smarter lighting choices. We work very closely with PG&E and their rebate program in order to provide our customers with energy efficient lighting at a minimal cost, thus helping to reduce energy costs and the release of greenhouse gasses. In addition to lighting, we offer high quality paper products that comply with the US Green Building Council'a LEED program and cleaning chemicals and comply with Geen Seal Certification Standarts. If you are not familiar with our company and your first contact with us is online; we would be pleased to hear from you! Please let us know what your needs and questions are and we will be more than happy to help.